EEG Care is a provider of ambulatory electroencephalography services. 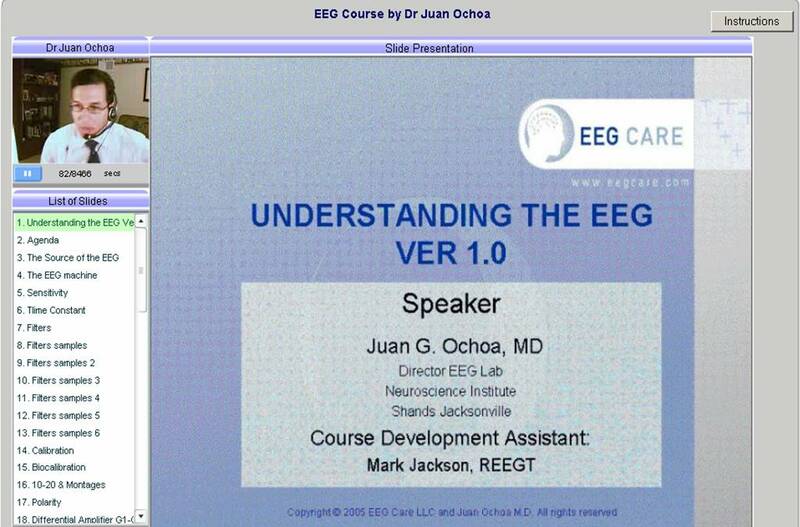 In February 2005, they started using the e-training Professional application to conduct courses on neurology topics. Using the application EEG Care was able to give courses to the neurologists, EEG technicians and neurology residents from all over the USA. "The e-training application allowed us easier access to a market that with traditional methods would have been very expensive and time consuming to reach." To see the recorded session of this course, please make click on the video.